This colourful star can be hung against the wall or in the middle of a room. 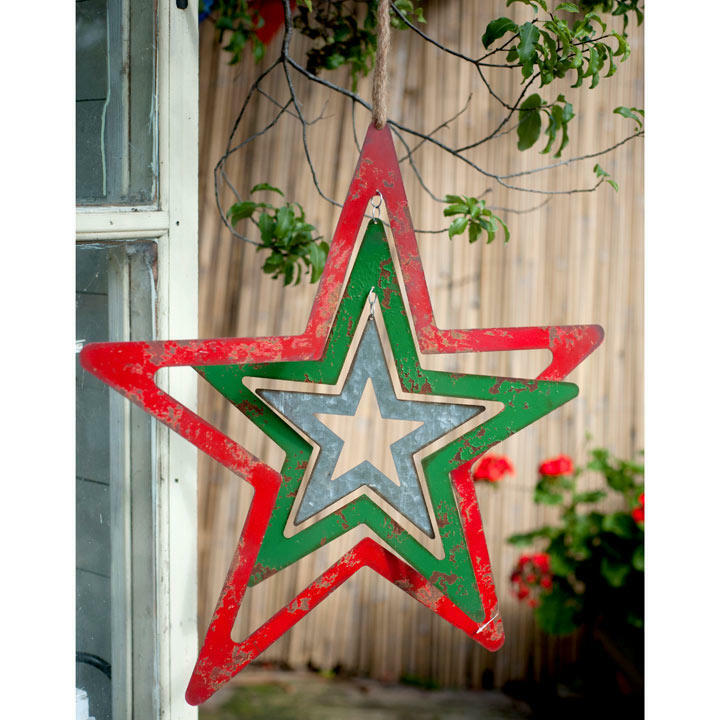 The inner stars are suspended from each and move as air flows through. 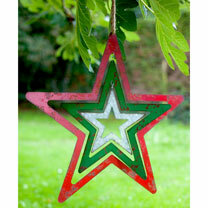 Suitable for indoor or outdoor use, with traditional Christmas livery of red, white and green. It measures 61 x 57cm high.